For over two decades, it has been argued that the brand is an important value creator and should therefore be a top management priority. However, the definition of what a brand is remains elusive. This comprehensive textbook presents the reader with an exhaustive analysis of the scientific and paradigmatic approaches to the nature of brand as it has developed over the last twenty years. 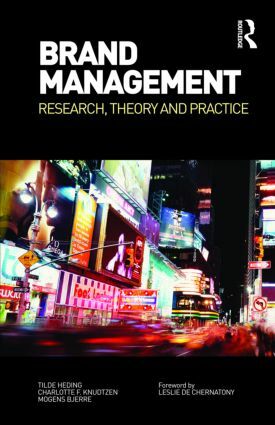 Taking a multi-disciplinary approach and offering an exhaustive analysis of brand research literature, it delivers a thorough understanding of the managerial implications of these different approaches to the management of the brand. Brand Mangement: Research, Theory and Practice fills a gap in the market, providing an understanding of how the nature of brand and the idea of the consumer differ in these approaches and offers in-depth insight into the opening question of almost every brand management course: "What is a brand?"